For the past 30 years TASSO has been dedicated to animal welfare through the registration of animals and returning them back home if they have gone astray. Today, every ten minutes TASSO returns a lost animal to its home. In addition, we support various animal welfare programmes both nationally and abroad. The Verband für das Deutsche Hundewesen e.V. 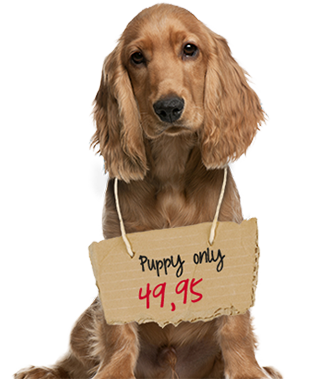 (The German Dog Federation) is the representative organisation for all dog owners in Germany. As the umbrella organisation for 176 organisations throughout Germany, the organisation represents more 650,000 members. The ‘Bund gegen Missbrauch der Tiere e.V.’ (Coalition Against the Abuse of Animals) is one of the oldest and largest animal welfare organisations in Germany. The charitable organisation is a member of the Deutschen Spendenrat (German Charity Council) and acknowledged as especially worthy of support. With its 11 offices, 7 animal shelters and an animal welfare centre, the coalition is active in all areas of Germany. The Tierärztliche Vereinigung für Tierschutz e.V. (Veterinarian’s Association for Animal Welfare) is an association of veterinarians who are especially interested in animal welfare. The association works to ensure the consistent and professional implementation of existing laws and ordinances that affect animal welfare and works to further refine and expand these laws. The Gesellschaft für Tierverhaltensmedizin und -therapie (Association for Animal Behaviour and Therapy) is an association of veterinarians specialised in behavioural therapy for animals. VIER PFOTEN (Four Paws) is an internationally active animal welfare organisation headquartered in Vienna. Through targeted projects and long-term animal welfare campaigns, the organisation has been promoting animal welfare since 1988. Sound, in-depth research, scientific expertise and intensive national and international political lobbying are the basis for their work. National and international help projects ensure quick, direct help for animals in need. The Deutsche Tierschutzbund (German Animal Protection League) was founded in 1881 as the umbrella organisation for the animal protection organisations and animal shelters in Germany, in order to be better able to fight the abuse of animals. Today the league represents 16 state organisations, more than 750 local animal welfare societies with more than 500 animal shelters and more than 800,000 members. The league stands for hands-on local animal welfare that is carried out with the heart and the head.